This paper presents an overview of JAMES, a Java-based platform of mobile agents that is mainly oriented for the management of data and telecommunication networks. This platform has been developed on behalf of a Eureka Project (∑!1921) and the project partners are Siemens SA, University of Coimbra and Siemens AG. We describe the main architecture of the platform giving more emphasis to the most important features. To show the effectiveness of some of the techniques that have been implemented we will present some performance results that compare the JAMES platform with the Aglets Workbench. The main target of our platform is network management and telecommunication applications. In this line, we have done a Java-based implementation of SNMP that has been integrated within the platform. The industrial partners of our project (i.e. Siemens S.A.) have developed a prototype application for TMN performance management. 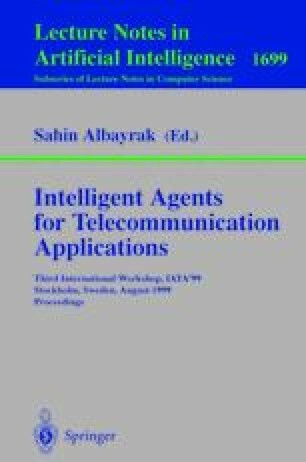 Although it is still a prototype it is being used to validate the technological advantages of using mobile agents in the management of telecommunication networks.